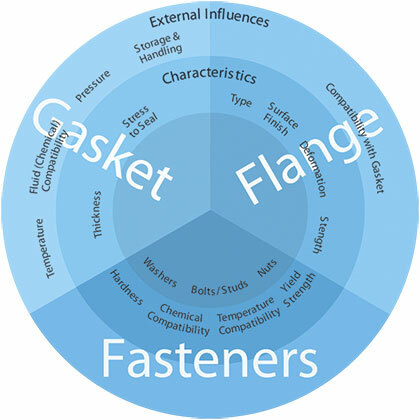 Many variables affect the selection of a gasket for a pressure vessel or piping system. Our focus here will be to look at the considerations you should make when selecting a particular type of gasket material, and not the variations of gasket design offered by gasket manufacturers and fabricators. Gaskets are produced from a wide array of materials including rubber (elastomers), compressed fibre (CNA), PTFE, flexible graphite, and metal. Metal can be combined with one or more of the above non-metallic materials to reinforce the gasket. Each material, or combination of materials, offers specific properties essential to effective sealing under a given set of operating conditions, traditionally considered to be temperature, pressure, and the nature of the fluid being sealed. The Fluid Sealing Association (FSA) now recommends looking at the operating conditions as an entire system, including the flanges and fasteners, which both play a prominent role in the proper selection of a gasket type. So how do you choose which gasket is best for the pressure vessel or piping system? Gasket related considerations are by far the most dynamic and generally have the highest profile since this is where things can go bad the quickest. Traditionally, temperature, pressure, and the fluid being sealed were thought of as the primary considerations for choosing a gasket material type. As gasket materials have become more high-tech and as equipment is being engineered and built with higher levels of precision, gasket thickness and allowable gasket stress are two additional considerations which must be high on your evaluation list. Gasket thickness and allowable stress go hand-in-hand and are very dependent on the type of material being used. For soft materials, thinner gaskets can withstand higher stresses and are less exposed to the media being sealed. Storage and handleability of your gasket should also be considered as different materials can me more pliable or more rigid than others. 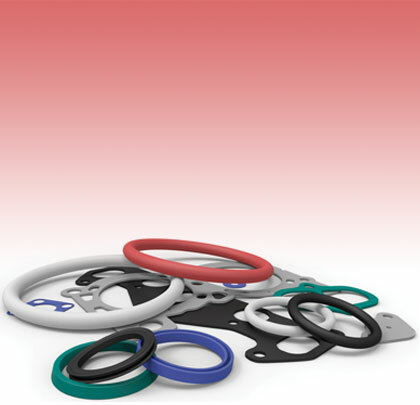 For large gaskets, rigidity can play in your favour to ease installation. How gaskets are stored also play a role in the usable life of a gasket, adding or subtracting from its performance expectations. 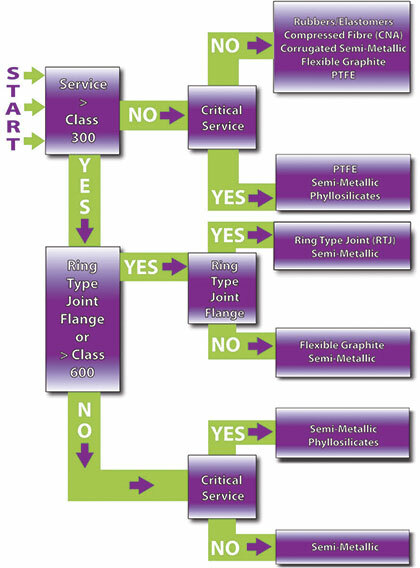 The effects of flange and gasket interaction on the resulting bolted joint need to be considered and are often overlooked when selecting a gasket type. Certain aspects of flange construction may become the determining factor(s) in the selection of the gasket to produce the desired seal. Flange type, surface finish, compatibility, strength, and deformation are necessary to review before making any decision. Flange characteristics are typically set and can de difficult or impractical to change. 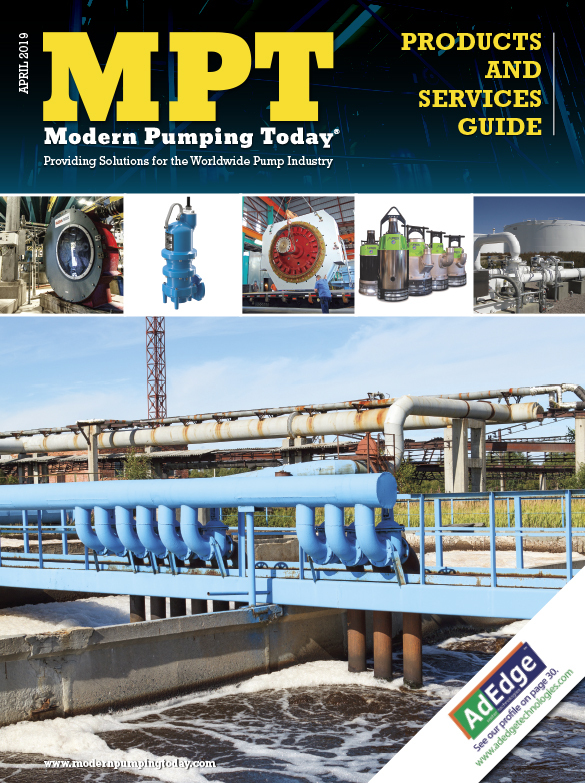 However, understanding the set of conditions relating to the flanges is important when considering the system and which type of gasket material to choose. Thin, less rigid flanges and/or flanges designed with minimal bolting might yield improved performance with a non-metallic or non-reinforced gasket due to its better conformance under low load. On the other hand, tongue-and-groove flanges with heavy bolts can apply very high gasket stresses, potentially damaging soft gasket materials that are not designed for extreme loads. Minimum, effective, and maximum stress calculations should be performed to determine the gasket suitability for the application. Gasket manufacturers can provide information regarding these values for a specific material to aid in the decision-making process. Mike Shorts is the president of Triangle Fluid Controls Ltd. and a past president of FSA. Founded in 1933, the Fluid Sealing Association® (FSA) is an international trade association. Member companies are involved in the production and marketing of a wide range of fluid sealing devices primarily targeted to the industrial market. FSA membership includes a number of companies in Europe and Central and South America, but is most heavily concentrated in North America. FSA members account for a majority of the manufacturing capacity for fluid sealing devices in the Americas market. 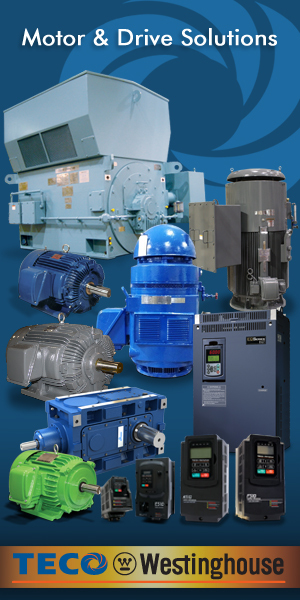 For more information, email info@fluidsealing.com or visit www.fluidsealing.com.